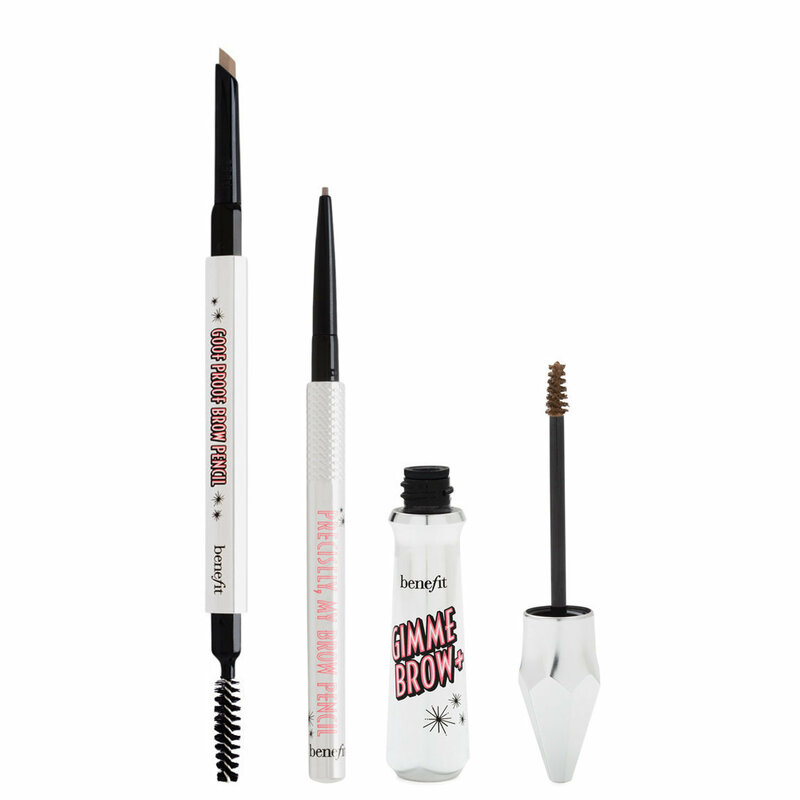 This trio of Benefit bestsellers features 2 brow pencils and 1 brow gel at a MAJOR value! Goof Proof Brow Pencil easily fills & shapes brows with its 12-hour, waterproof formula, and custom goof-proof tip. Precisely, My Brow Pencil draws natural-looking, hair-like strokes with its ultra-fine tip and 12-hour smudge-proof formula. For fuller-looking brows in an instant, brush on gimme brow+ volumizing eyebrow gel. Wear the products alone, or layer them together for a custom look… it’s everything you need to create any brow style — from bold & defined to full & feathery! Available in 6 shades. Fill & shape brows with Goof Proof Brow Pencil using the wide base of the custom tear drop tip. Then, use Precisely, My Brow Pencil’s ultra-fine tip to draw hair-like strokes & add natural-looking definition throughout your brows. Blend with spoolie. To finish the look, brush Gimme Brow+ Brow-Volumizing Fiber Gel upwards through brows to build instant volume.